Luton forward Danny Hylton is finally back in contention for the trip to League One promotion hopefuls Barnsley this weekend. 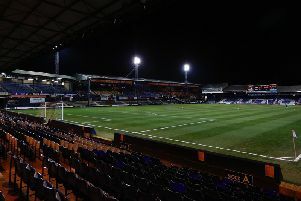 The striker has missed the last seven league games for the Hatters, his last action coming in the 3-2 win over Shrewsbury on August 25, where he came off at half time. However, after making a successful return to training, Town boss Nathan Jones said: “He’s back in contention now. When asked whether Hylton would be ready to start the match against a side who are fourth in the table, with just one defeat in the league this term, Jones added: “We’ve been very conservative with him in terms of bringing him back.